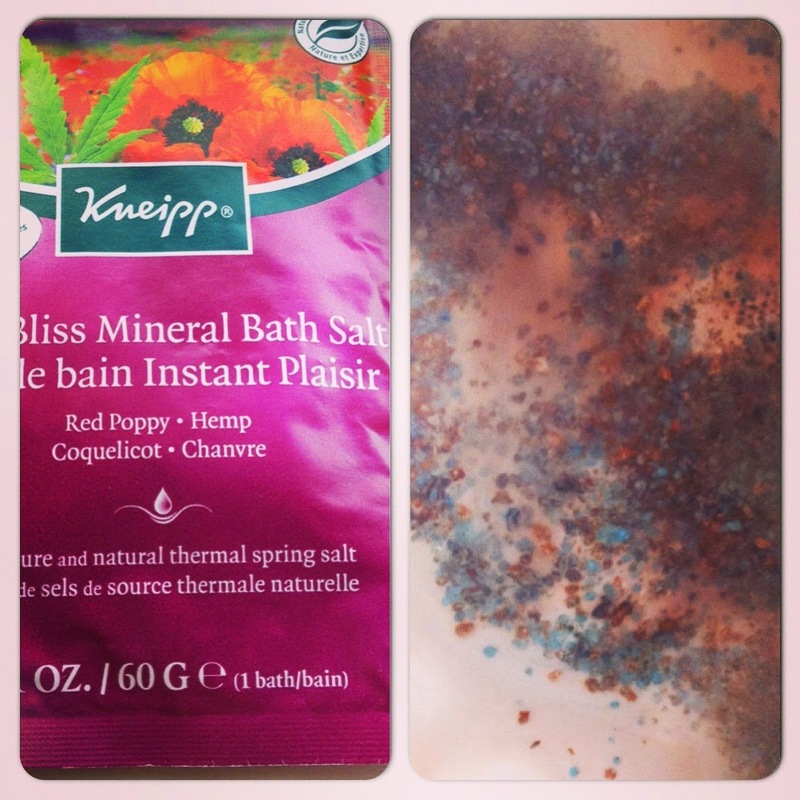 Kneipp Pure Bliss Mineral Bath Salt is made with natural oils of Red Poppy and Hemp. 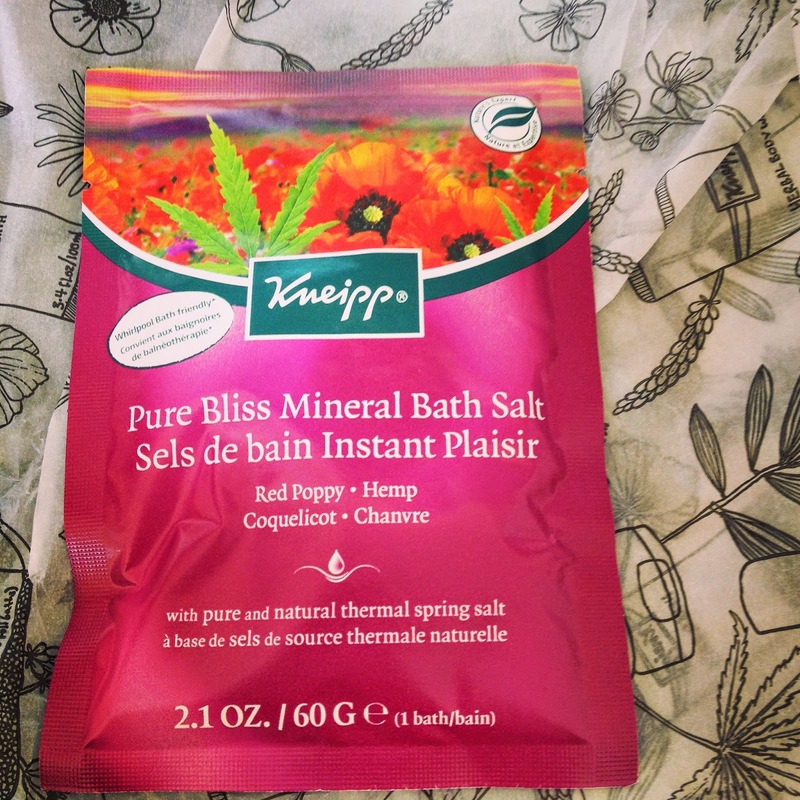 It promotes an overwhelming sense of well-being and relaxation from the stress of everyday life. The bath salts spill into the bath in hues of pretty blues and reds but once all melted the water turns red which was a little off putting if I am honest. However the lovely scent that was oozing from my bathroom more than made up for it and soon tempted me inside. 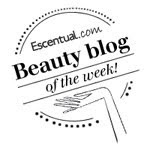 The scent is soapy and intensely calming which I was delighted with and the salts left my skin feeling lovely and soft. I can see the appeal of bath salts and I would be tempted to purchase a jar to pop some in my bath for some super relaxation.